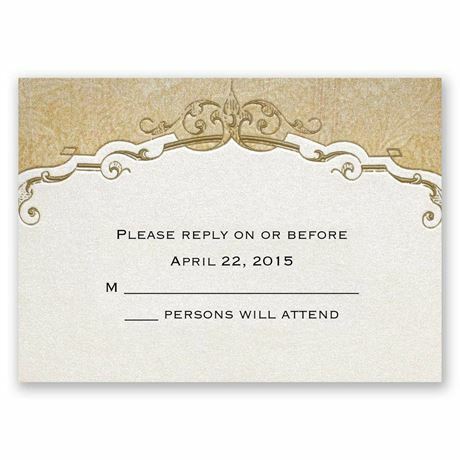 A lightly embossed gold border prints above your wording on this ecru, antique-style response card. Your wording is printed in your choice of colors and lettering styles. This product features thermography printing. Thermography is a unique printing technique that results in raised lettering you can feel, which adds to the luxurious experience of this printed piece. Includes envelopes.